They are each $195 shipped. 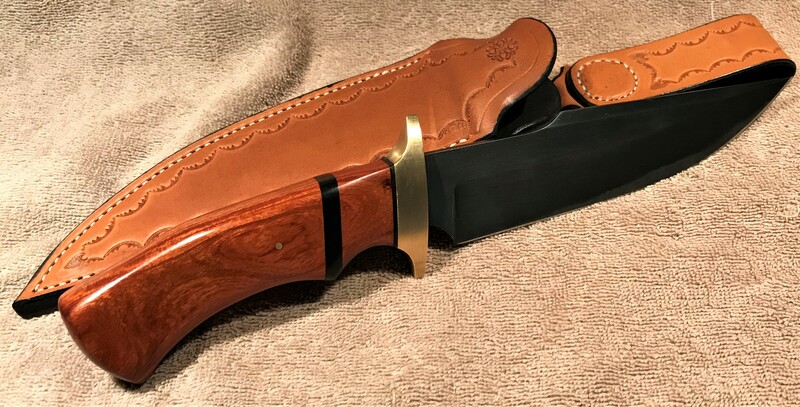 Both have custom leather sheaths as shown and are 12 3/4" in length with a blade length of about 7". 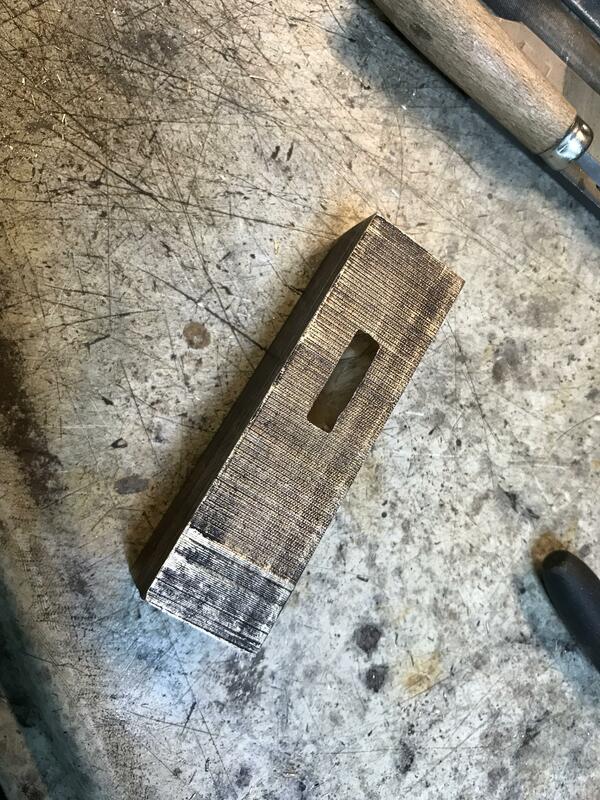 First has Pau Rosa wood handles with custom bronze finger guard made from a chunk of bronze pictured. It has a brass pin and black G10 accents. 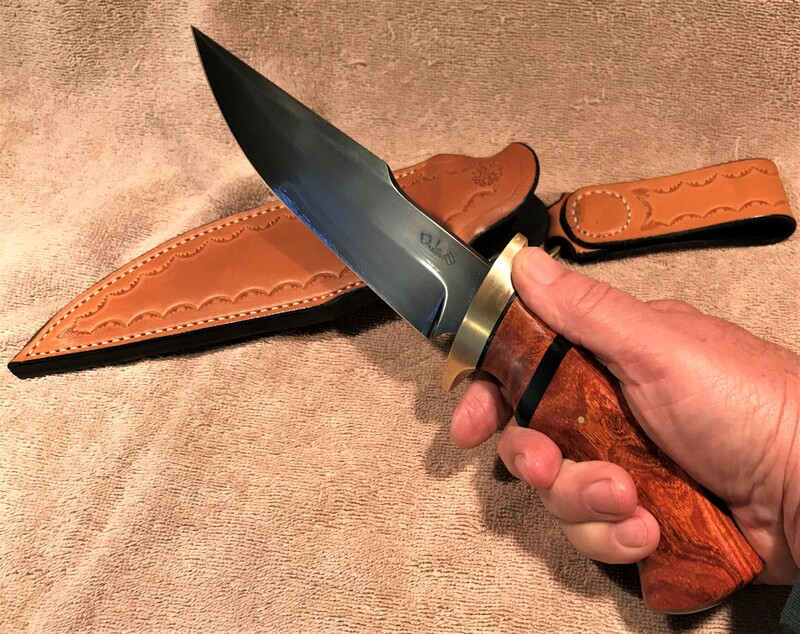 Next ha﻿s Marblewood hand﻿les with Padauk woo﻿d and grey and green G10 accents with a SS pin and custom made Lazy S finger guar﻿d. Wow, those are beautiful. Nice work Don. That first one is seksi! 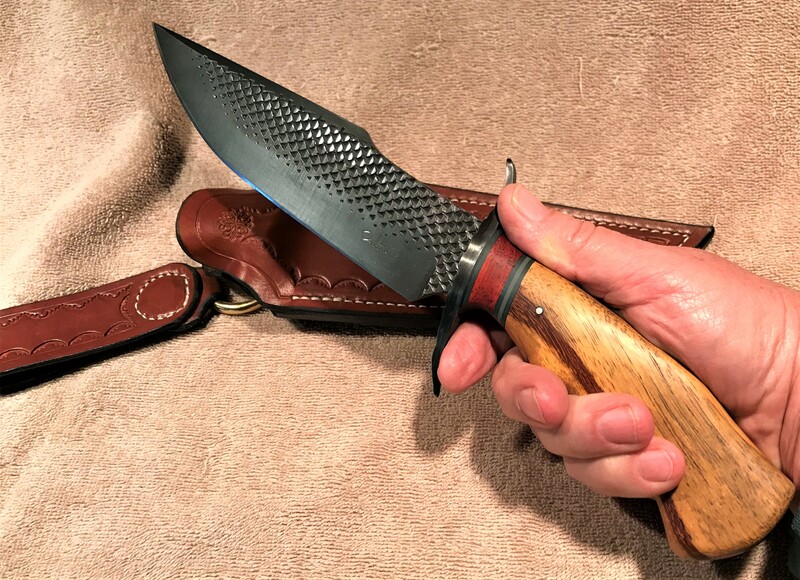 The second Bowie is still available and is reduced to $165.....includes the custom leather sheath and a free smaller knife with kydex sheath of my choosing.